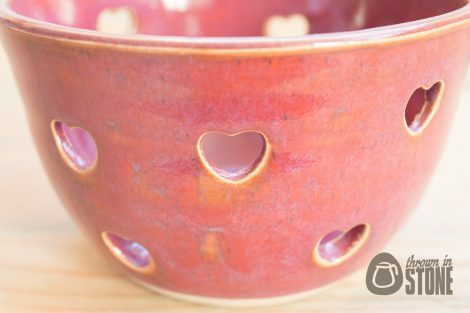 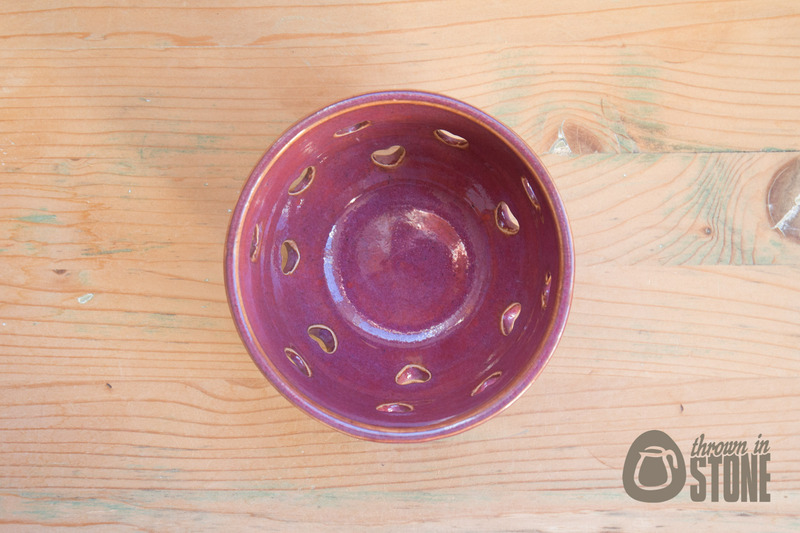 This tea light candle holder was hand thrown on my potters wheel using strong white stoneware clay. 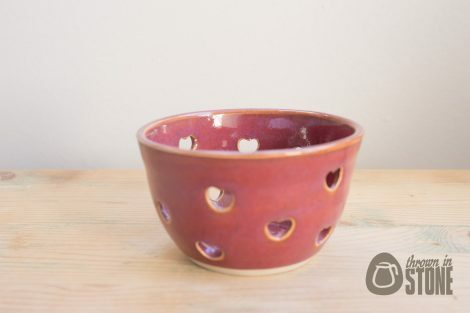 Punched with pretty heart shaped holes to let the light out. 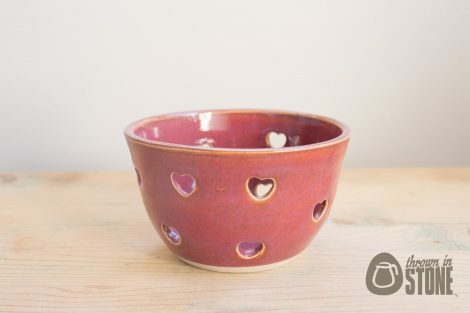 Finished in a lovely deep pink grapefruit coloured glaze. 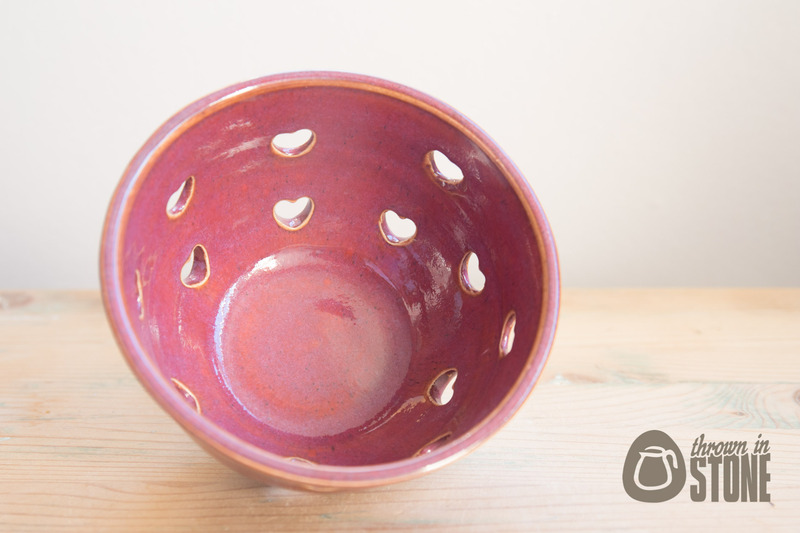 Suitable for small candles or tea-lights.